The trails at Hamilton Pool parallel Hamilton Creek as it heads toward the Pedernales River. Getting there: From Austin head west on Hwy 71. Turn left onto RR 3238 (Hamilton Pool Road). Head south for a about 14 miles and look for the park entrance on the right. If you cross the Pedernales River you've gone too far. 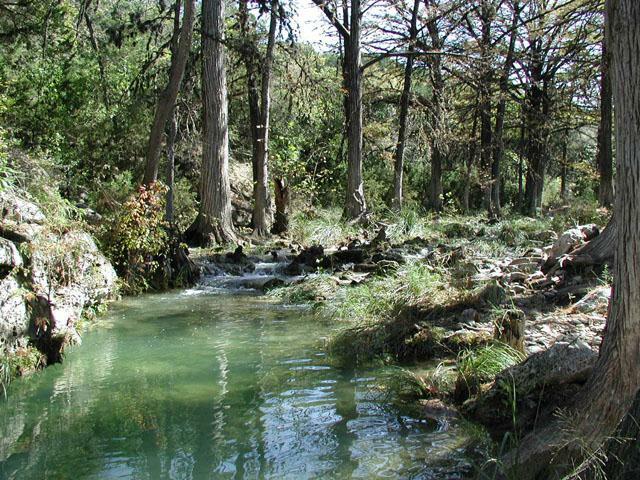 The Hike: Natural pools hold a special place in the heart of Central Texans. Along with Barton Springs, Hamilton Pool has provided area residents with a refreshing break for generations. While most residents know of the pool, even if they have never visited, fewer know that there's a great little trail within the preserve's boundaries. Several spots along the trail allow for close access to the creek, like this one near a small waterfall. The trails begin at the waypoint "Trailhead" at the preserve parking area. The path descends slightly towards a "T" in the trail. To the right lies a short quarter mile walk to Hamilton Pool. To the left is the longer and less traveled part of the preserve. I chose to go left first to avoid a small group that went in the opposite direction. 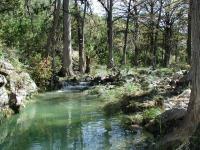 The trail heads northwest and parallels Hamilton Creek as it flows towards the Pedernales River. Since the stream bed is well sheltered in the canyon, the air here is cooler than just a few hundred feet away at the top of the canyon rim. The cooler air and water source provide a humid atmosphere that is perfect for Cypress and ferns that line the banks of Hamilton Creek. The trail surface is packed dirt and rock. Although the trail descends toward the river, it undulates as it heads towards the mouth of the creek. All told there is about 400 feet of elevation gain on the trails. Though this portion of the trail is less traveled, you won't get too lonely out there. 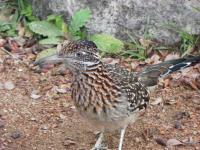 I saw perhaps a dozen others outside of the pool area itself. Still it was possible to find a tranquil spot all to oneself along the creek now and then. 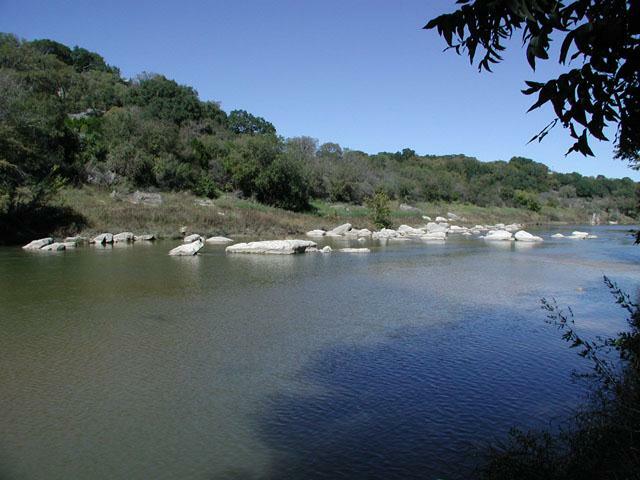 The trail ends at the Pedernales River. 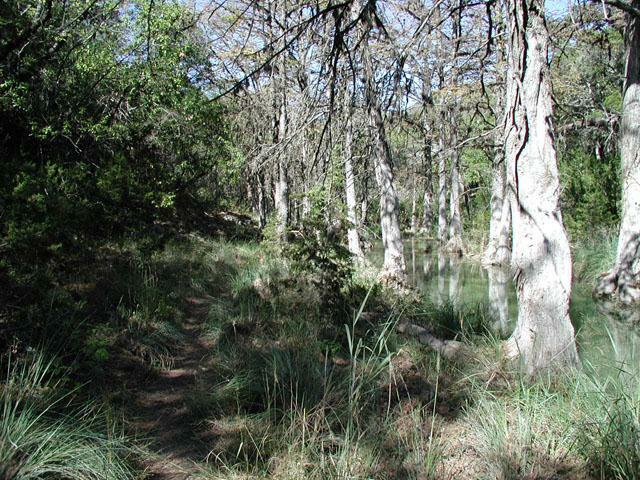 Travis County is determined the restore the natural state of the land, which had been damaged due to misuse up to 1980, when it was purchased from the Reimer family. Prior to this it had grown in popularity as a swimming hole and the unrestricted crowds nearly enjoyed the area to death. 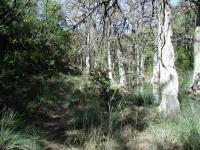 In an effort to allow the native vegetation to make a comeback visitors must stick to the trails at all times. Along the way there are a few spots that diverge from the trail and provide a closer connection with the creek. The official spots are fairly easy to discern by the worn path and the white string tied to trees around these spots to limit damage. Please stay on the trail and within the string boundary. The scenery here is getting better and better because people are no longer trampling over every square inch of the canyon. 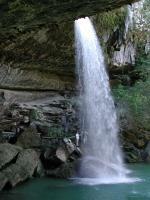 Hamilton Pool is named after the small body of water at the base of the collapsed grotto with this waterfall cascading into it. The waypoint "Window Rock" marks a spot in which a hole in a jumble of boulders forms a tunnel that provides an interesting view of a small waterfall on the opposite side. 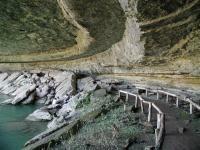 The trail loops completely around the overhang of the grotto. One spot along this section is quite narrow and requires a sideways shuffle. 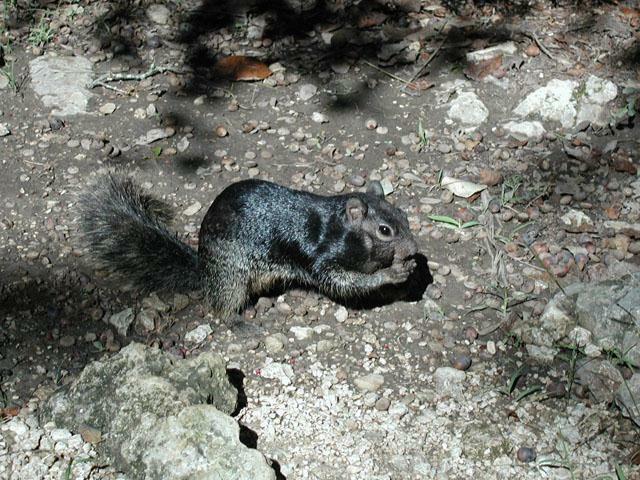 Paradoxically, some of the steeper sections of the trail occur right before it reaches the Pedernales River. The turnaround point at the river features a bench in the shade for some rest or quiet contemplation. Doubling back, I headed to Hamilton Pool itself. As expected, there were more people around the pool's perimeter, after all, this is what most people come for. But given the recent rains, the water quality had temporarily degraded and no swimming was allowed, which cut down on the crowds a great deal. 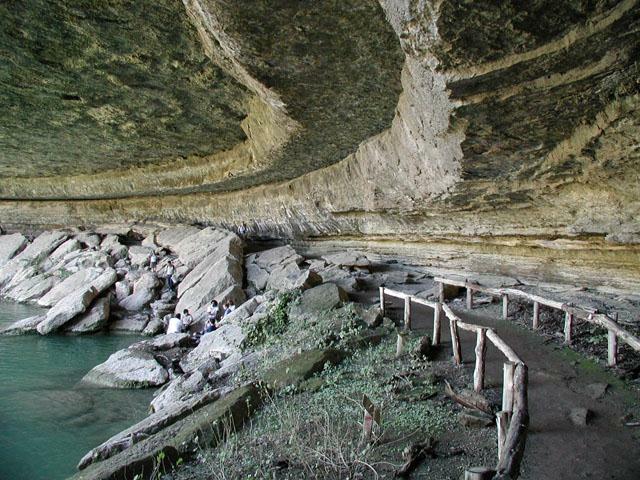 Hamilton Pool is formed by a collapsed grotto. 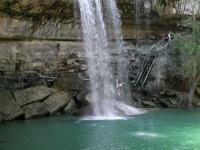 As layers of rock collapsed an overhang developed and water cascades into the circular pool below. The pool here is larger than at nearby Westcave Preserve and the trail here actually circles the entire pool, half of the loop under the rock overhang. The overhang is quite large by Central Texas standards and can provide refreshing shade on a hot day.